Love your Friday night Takeaway? Try these healthier options from your favourite restaurants. Most of us love a good Friday night takeaway! 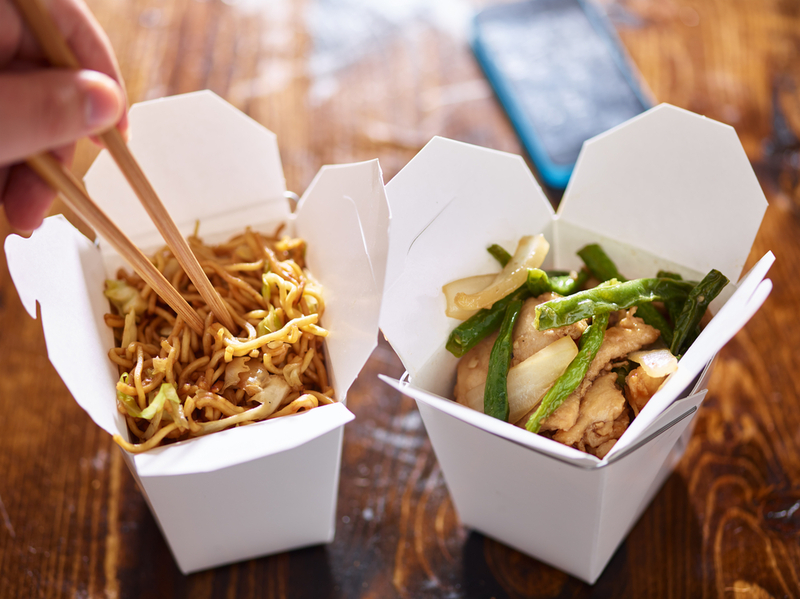 Whether it’s a treat or a necessity because there’s nothing in the fridge, a takeaway provides a quick and tasty option. But if you’re trying to eat well this year which are the best dishes to choose without ruining all your good work? 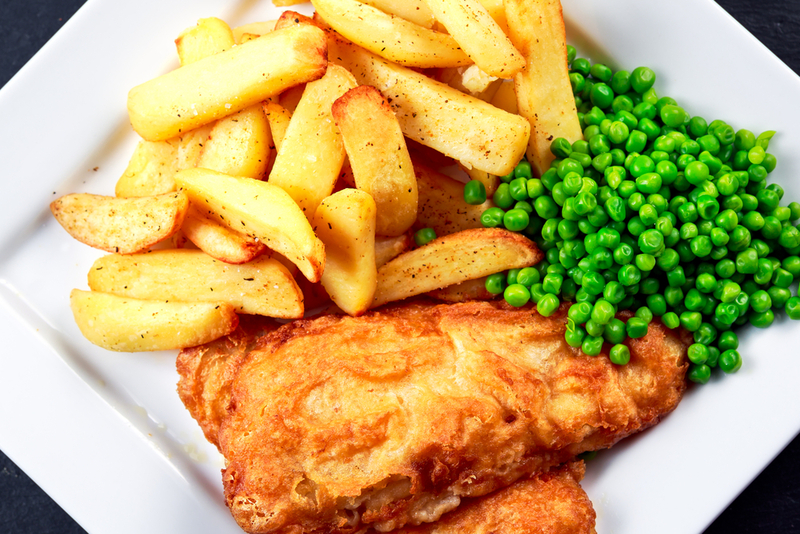 Clinical Nutritionist, Suzie Sawyer, looks at the six most popular takeaway meals and provides the low-down on the healthiest choices. The most calorie-laden part of any pizza is the base. So choosing a thin crust base is not only better for your waistline, but you’ll really taste the varied flavours of the toppings. 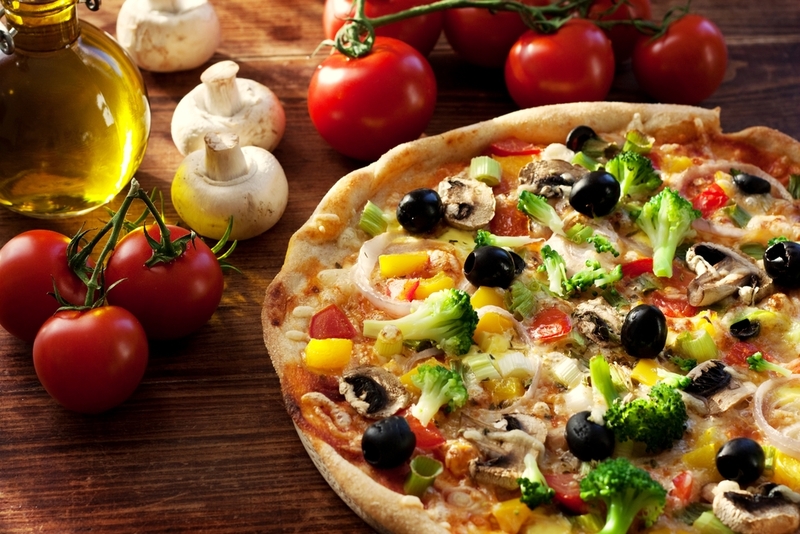 When choosing toppings, vegetarian options are great because they’ll always contain colourful vegetables such as peppers, onions, courgettes, olives, sweetcorn, mushrooms and chilli; as with all meals, the more colourful the pizza, the healthier it is! Tomatoes are always a big feature of any pizza and they provide wonderful health benefits; tomatoes deliver lycopene, an amazing antioxidant which is great for the skin and keeping the ageing process at bay. Even better, those benefits are not lost when the tomatoes are cooked, so why not ask for extra! Try to avoid salami, pepperoni and other processed meat toppings. You might like the spicy tastes but the salt and fat content is high. There are some really healthy spices used in traditional Indian cooking; turmeric for one, should be included in the diet as much as possible. It’s great for helping any inflammatory issues the body might be suffering with and it will certainly keep your brain sharp! Look for dishes that are made with lots of spices – all of them will deliver varied benefits to your health. The main dishes to avoid are those made with cream such as kormas, which are very high in fat and, therefore, calories. 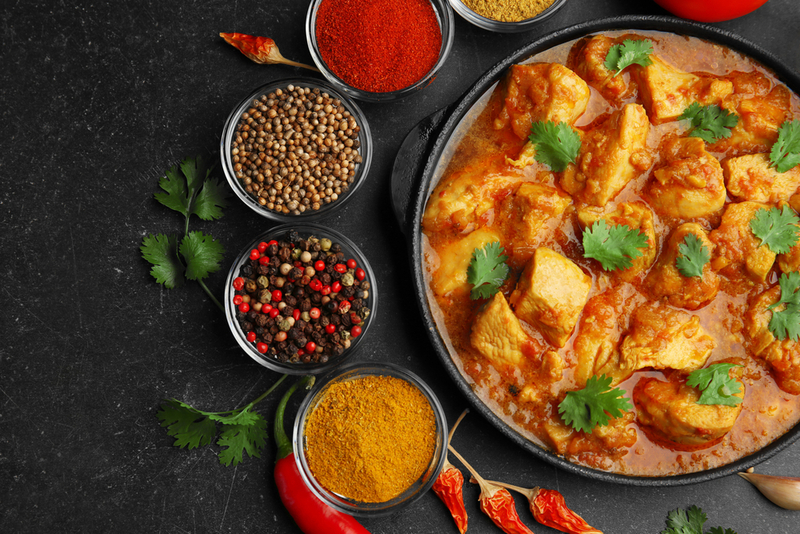 Murgh dishes are a great creamy alternative; made with yoghurt (great for the digestion with their friendly bacteria), garlic (a real heart-lover) and lots of spices, they are a great choice. If you’re going to eat fish and chips, it’s always going to be quite calorific. But don’t beat yourself up over it as there are ways to make it healthier. Thick-cut chips actually absorb much less fat than thinner chips or fries, so if this is an option always go for the chunkier chips. You also don’t need to eat all the batter on the fish! Why not take off the batter from one side and enjoy that way? The good news is that all white fish are high in protein and low in fat. And if you’re concerned for the environment then choose fish that’s more sustainable such as plaice or huss. And don’t forget the peas for some good greens! But avoid the saveloys! They might be tasty but they’re produced from pork and pork fat and contain nitrates which can have negative effects on health. The nutrient value of a saveloy is minimal. The base ingredients used in traditional Chinese cooking are really healthy and nutritious. It’s worth heading for soups and stir fry dishes with vegetables and egg noodles, for the healthiest options. Ginger regularly features in Chinese cuisine. It’s great for the immune system which makes it the perfect choice for this time of year, so choose dishes which feature this super spice. Chinese vegetables such as pak choi are incredibly healthy too. Pak choi is one of the brassica family of vegetables, which means its nutrient profile is impressive, it’s very low in calories and fat but high in fibre. So why not order as a side dish to accompany your Chinese takeaway! 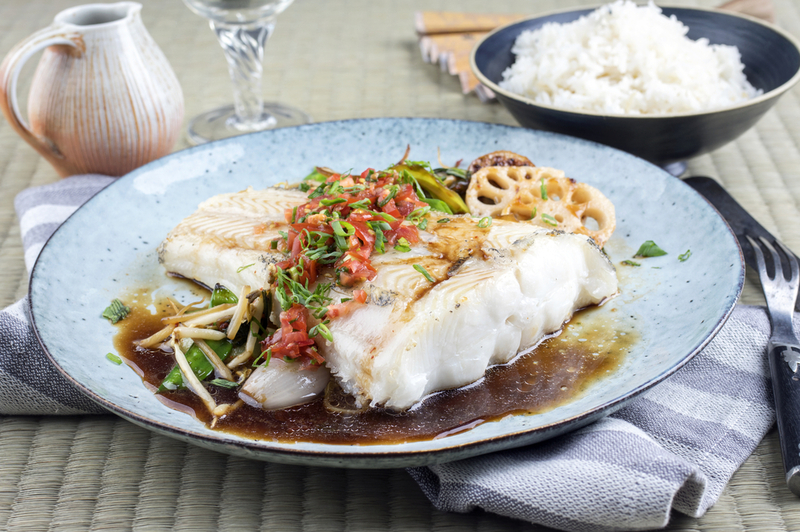 Unfortunately some of the sauces used in Chinese cooking can be high in calories; sweet and sour is one example that tastes great, but is packed with sugar. 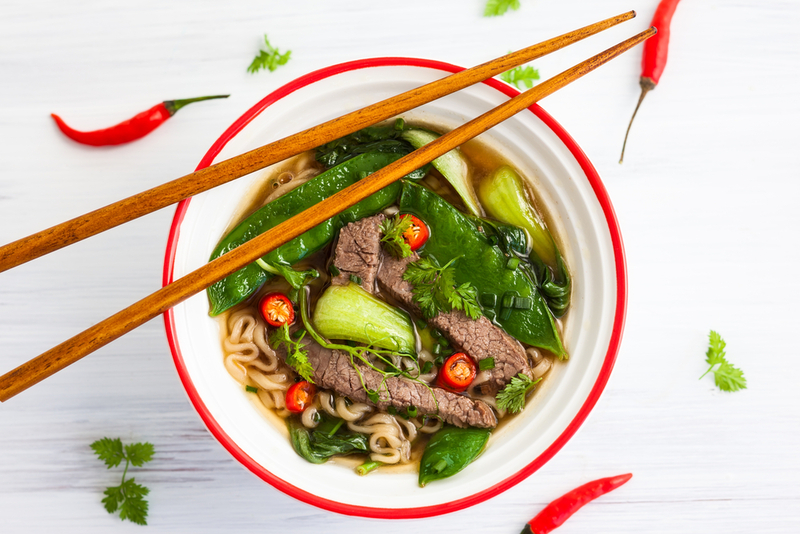 It’s also worth checking with the shop that they don’t use monosodium glutamate (MSG) in their cooking; digestive upsets that are commonly experienced after a Chinese are often caused by MSG (used to colour and flavour many sauces). The traditional image of a kebab shop is the rotating piece of meat that sits in the window. 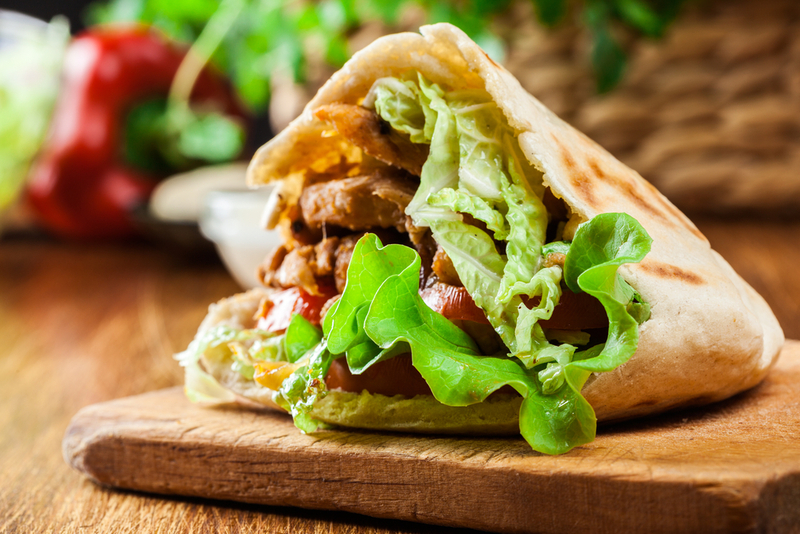 Commonly known as a doner kebab, this is not the greatest choice when it comes to nutrition; the meat will certainly be processed in some way and any food that is kept under luke-warm temperatures for a period of time is going to be more susceptible to germs. A much better choice would be a shish kebab which is barbecued meat or chicken, covered with spices and served with salad and pitta bread. Even if the salad looks like it has been sitting there for a while, there will still be some good ‘green’ benefits plus you’ll be getting plenty of quality protein from the meat or chicken. Thai food is known for its varied and fragrant flavours and there are so many healthy choices on a Thai menu. Whilst red and green Thai curries are quite delicious, the steamed fish or salads are much less calorie-laden. All Thai food is made using a variety of herbs such as lemon grass, coriander, garlic, ginger, lime leaves and basil, to name but a few. These all provide plenty of extra health benefits. Your taste buds will always be stimulated by the multitude of flavours found in Thai food and if you eat slowly, the feelings of fullness will happen and you won’t overindulge on the sticky rice! So enjoy your Friday night takeaway but just spend a few more minutes thinking about your food choices so you feel a little less guilty the next day! Follow us on Twitter @feelaliveuk for nutrition, lifestyle and well-being tips.